Use a coaster, people!! I suppose that’s not always realistic, especially if you have kids like mine. 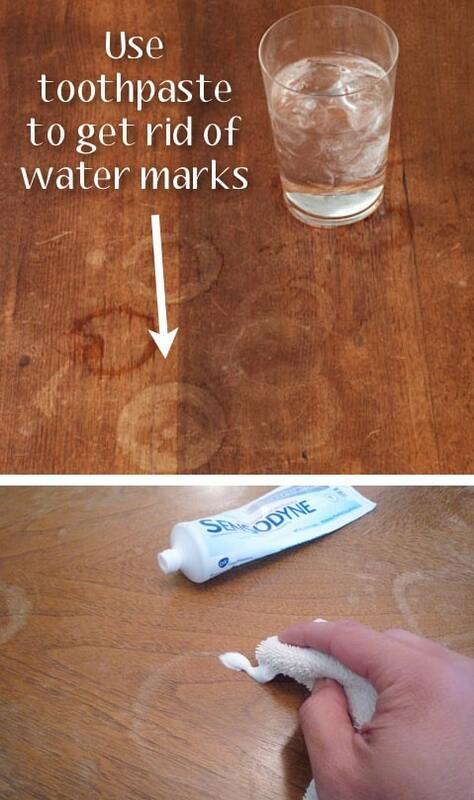 In that case, there are a couple of ways to get rid of the water marks left behind from irresponsible coaster users. White toothpaste seems to have the best results. 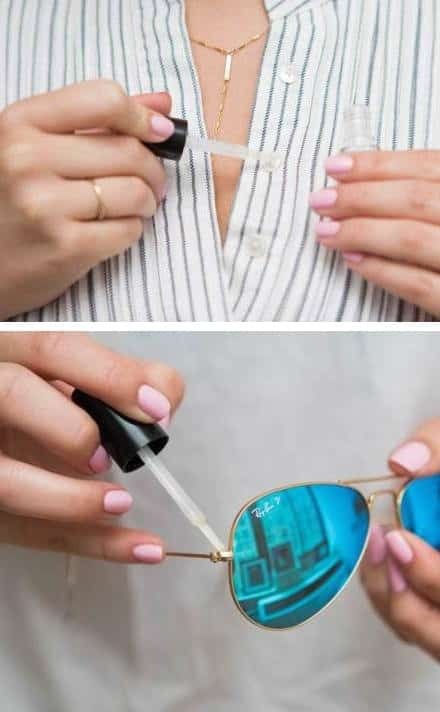 Simply rub it on with a cloth for a few minutes until you see results. You can see the full instructions and other methods here. I’m starting to think that CDs will soon be obsolete, but I still have hundreds of them in their original case. I need to upload those babies onto my computer! Who knew you could repair minor scratches with toothpaste? 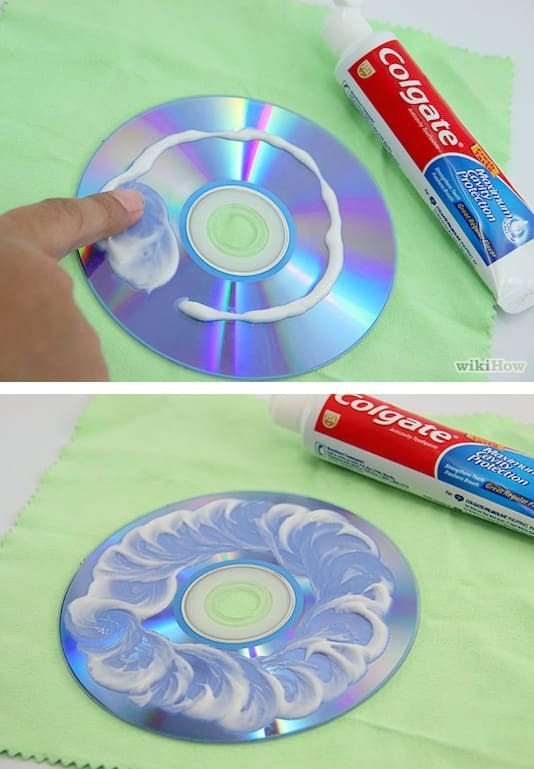 First, wash the CD with mild soap and water, then rub the toothpaste on in a circular motion, let sit for a few minutes, and then rinse it off with cold water. Sounds weird, but it works!